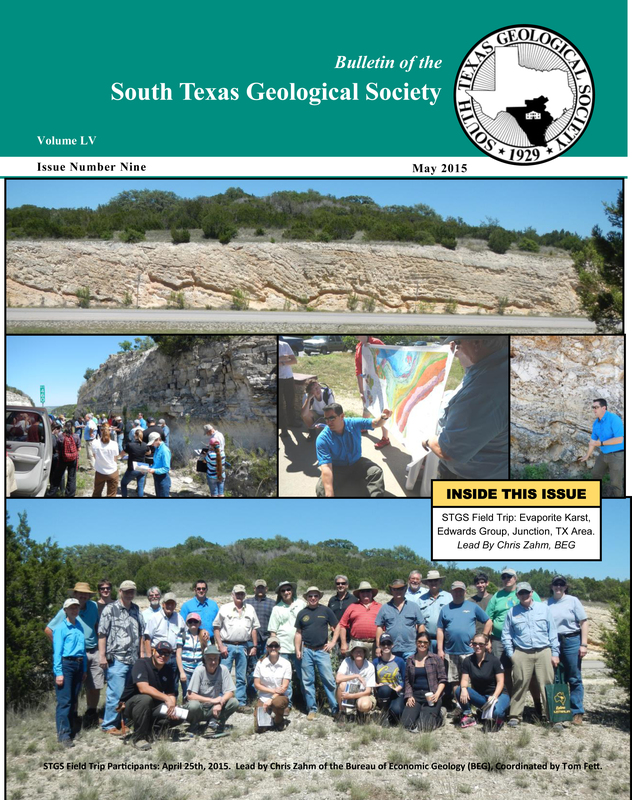 GEOLOGICAL ROAD LOGUVALDE -- EAGLE PASS – ANACACHO MOUNTAINS, SOUTHWEST TEXASPrepared for the Spring, 2016 field trip by Thomas E. Ewing, Frontera Exploration ConsultantsThe April 2016 field trip was led by Tom Fett and Tom Ewing to examine the Upper Cretaceous sandstones and related rocks exposed in the Eagle Pass area. The trip originated in Castroville and traveled west, stopping at Black Waterhole to view a Cretaceous tuff ring and lava lake (as described in the 2004 guidebook). 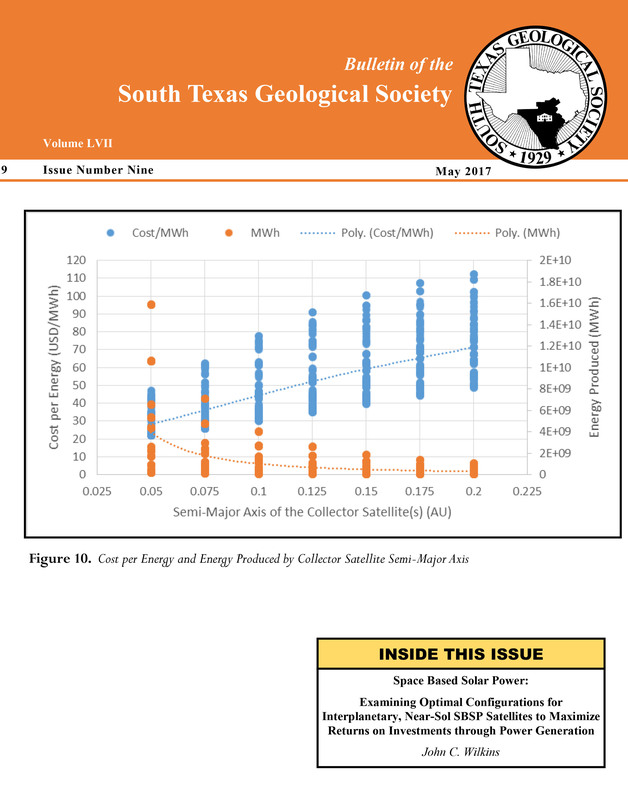 The route from Uvalde is described in this log; the first several miles are also found in Ewing (2004).Upper Cretaceous sandstones are productive reservoirs in a number of counties of Southwest Texas (from Uvalde to Eagle Pass). 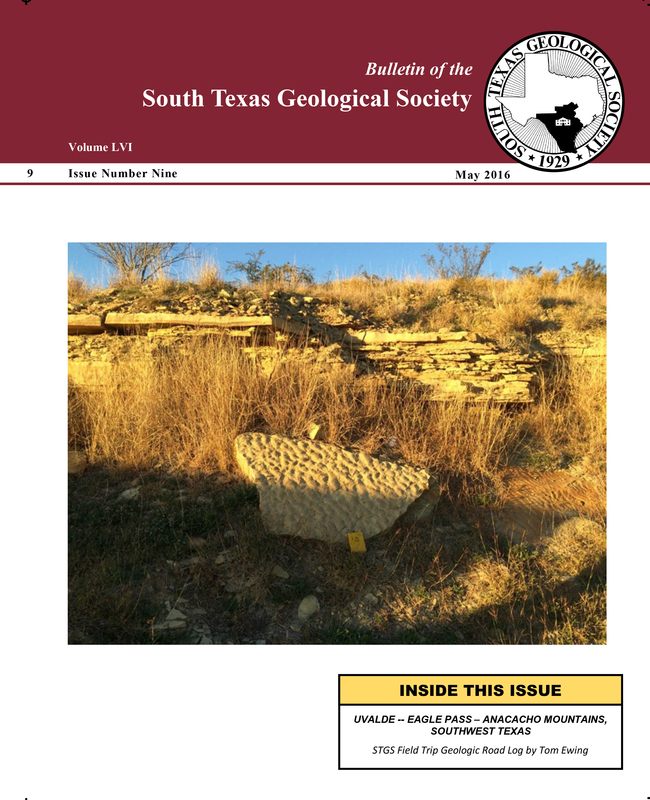 They are not well exposed along the Balcones Fault Zone east of the Anacacho Mountains because pre-Escondido sand-bearing units are truncated by the sub-Escondido unconformity (the Bigfoot Unconformity; Ewing, 2003). Thin sands are found in the Escondido near Castroville. 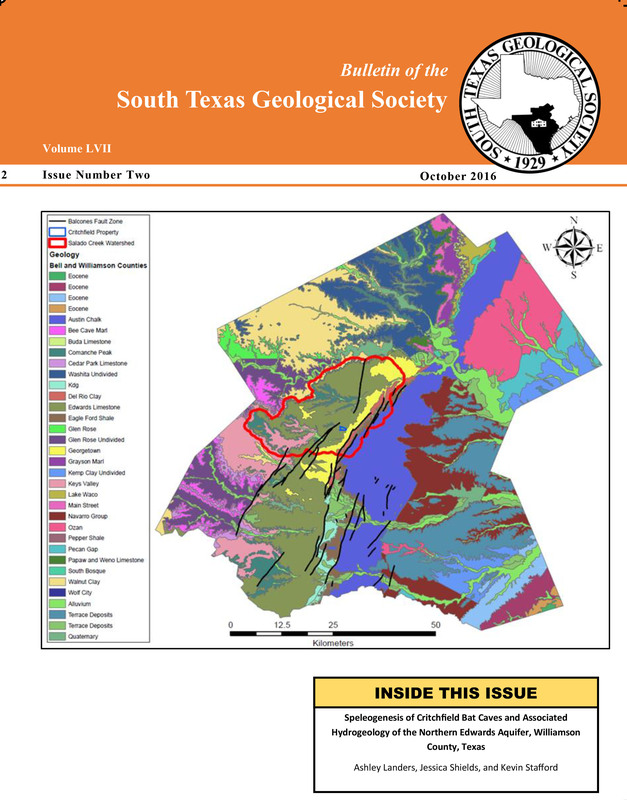 Southwest of Uvalde, the San Miguel and Olmos sands appear from beneath this unconformity and are well exposed in the Eagle Pass area.